It’s a slow week in Major League Soccer. One league game, a couple international games on the menu for the national team(s) in the area and some US Open Cup games. Most of the clubs in MLS have played at least a third of their season slate with only a couple stragglers at the end that have played just 10 or 11 games so far. For the most part we can say we have a good enough sample going into the summer that we know where teams, the players and the coaches stand. For some teams, things are looking good. But for others, this could end up being a season worth forgetting. At the beginning of the year I wrote about a couple coaches that I thought would be either gone/fired/whatever by now and none of them are even sniffing the coaching hot seat at the moment. Good fortune, strong moves in the offseason and good play overall has helped those coaches out. The same can’t be said for the following group though. Aron Winter, Toronto FC (1-9-0, 3 pts.) – Only one win in league play after 10 games, that just doesn’t cut it when you have three DPs on the roster. Injuries and issues like that haven’t helped and playing more games outside of the league hasn’t been in their corner as well. Still, the fact remains Winter is skating on thin ice no matter what. His Canadian Championship was nice and that keeps TFC in the Champions League for this fall but the fans there want playoff soccer and MLS Cup soccer, not just CCL and Voyageurs Cups titles. What will cool the seat off: Winning some games in league play for starters, TFC sit 15 points back of a playoff spot right now but they do have between 2-5 games in hand on everyone. Something that will come in handy. 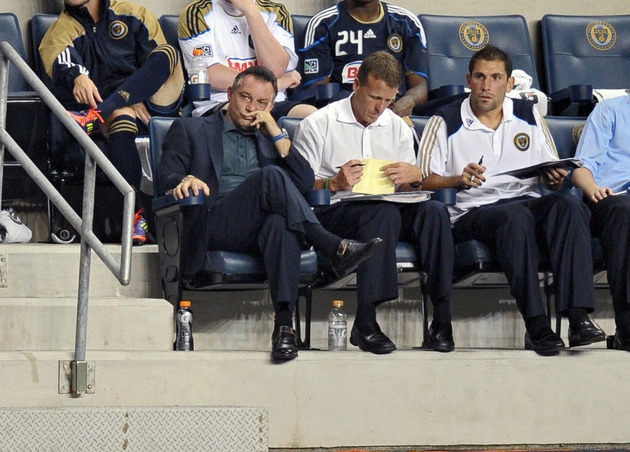 Peter Nowak, Philadelphia Union (2-7-2, 8 points) – Boy it has been a rough few months in Philadelphia. Nowak has pushed out nearly all the fan favorites and hasn’t improved his club one bit with all that allocation money he’s stockpiled. This club just isn’t that good at the moment and you can mostly point to Nowak for that reason. What will cool the seat off: Consistent winning but more importantly a couple new faces on the roster that can score some goals. Schellas Hyndman, FC Dallas (2-8-4, 13 pts.) 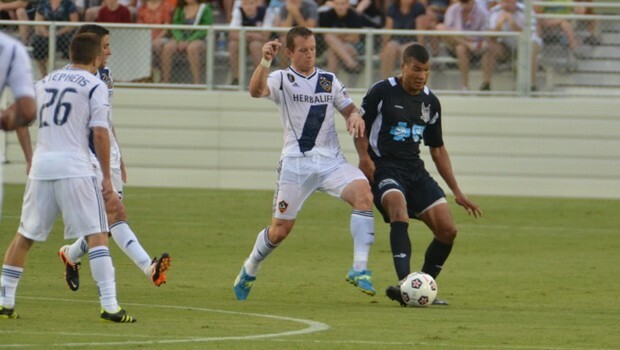 – Fans here in Dallas are getting impatient with this club and with Hyndman. His conservative approach to substitutes and game management have been called in to question a few times this season. Yes, his club has been hit hard by the injury bug this season but they’ve also shot themselves in the feet too many times with suspensions. I really don’t feel he’ll get the axe anytime soon though from FCD management though. Maybe if the club continues losing and gets to a dry spell that doesn’t see them win until August (could happen folks), then I could see him step away but even that feels like a long shot at best. Dallas is going to have to win a lot of games to get to the playoffs and they already have the games-in-hand thing going against them. What will cool the seat off: Getting back to winning for one thing but also getting healthy. Dallas fans love winners and that is the easiest way to keep them happy. Bruce Arena, LA Galaxy (3-8-2, 11 points) – Galaxy fans can’t be too thrilled with the way things are going after watching their club win a MLS Cup title last season. Losing Omar Gonzalez was a major part of this, make no mistake about it but you do have to wonder if this club would be that much better with him in the lineup right now. I’d say they would be which makes me think that Bruce’s seat really isn’t as hot as some make it out to be right now. They’ve played a few games less than most of the Western Conference and you know in this league it is all about getting hot late. What will cool off the seat: Winning. Simple as that. This club is too expensive to be sitting in the cellar of the conference. John Spencer, Portland Timbers (3-5-4, 13 points) – Expectations are high in Portland with this club. I don’t see him getting canned anytime soon but this is more of a wait and see kind of feel for me. Spencer’s club hasn’t exactly made major strides in year two like his expansion counterparts and rivals Vancouver have. More inconsistent play will definitely cause some uneasiness among the faithful there. What will cool of the seat: Consistent play for one thing but big wins over rivals always help. Hans Backe, New York Red Bulls (8-3-2, 26 points) – I don’t think you can ever do a hot seat list without a New York coach. I think Backe has silenced his critics and given his club’s form as of late, there is no sniff of him on any hot seat list. Only reason why I include him is because you just never know how quickly this club could implode. We saw it last summer, and the make up of this team is largely the same.